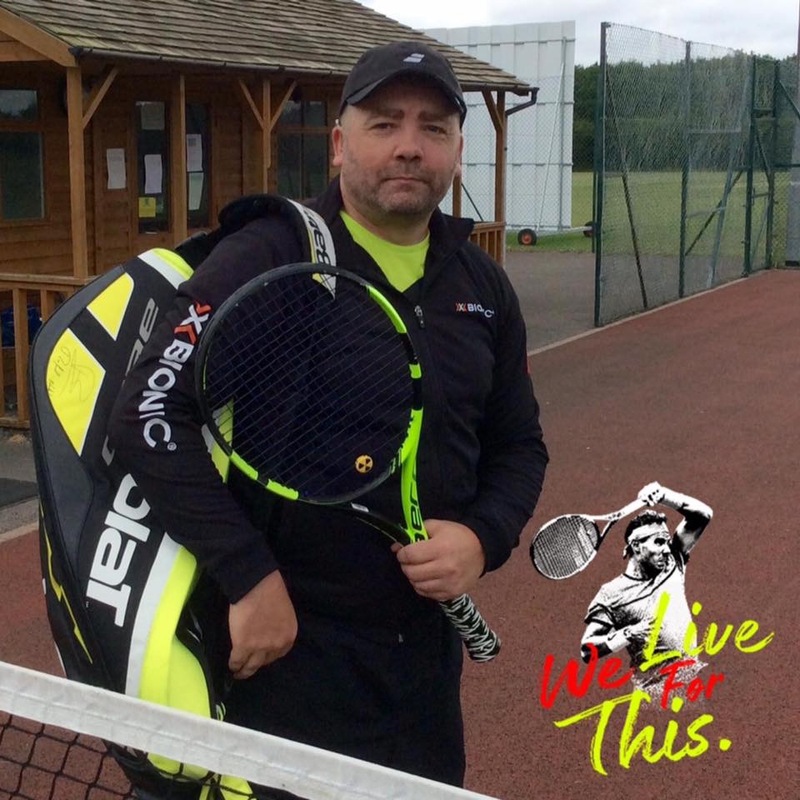 24th June 2017 at Wanborough Tennis Club… I’ve heard about these courts, everyone I’ve spoken to who had played matches at Wanborough have had nothing good to say about the courts and playing conditions. Strong winds blow across these open courts with very little protection from the wind. Also the courts themselves are so worn, you can hardly see the lines of the court. Really not match ready courts, but I just wanted another match in the bag and was on a mission to bag three matches within the first half of the league dates to get myself a free tube of tennis balls as a bonus. After a great result in my first league match I turn up at Wanborough Tennis Club to meet my next opponent. I’ve already been checking match reports on the Local Tennis League website and again watched my opponent during warm up, analysising his game. Again as usual I allow my opponent to serve first, giving myself the chance to break serve in game one. I break serve, I’m already ahead 1-0 and now it’s time for my serve, I win, but I’m pushed to serve a number of deuce advantage points, but main thing is, I’ve won, I’m 2-0 up. I’m struggling with the wind blowing hard across the courts, I’m getting white noise crackling through my hearing aid off putting my game, taking the hearing aid out is not an option as this effects my balance badly and I can’t hear being 90% deaf now, so without my hearing aids in, I can’t judge the speed of the ball as well. First set I win 6-2, on paper that looks comfortable, but in reality, some of my service games had gone to deuce advantage. I’m losing my balance a lot with my serve and the white noise is effecting me a lot also. When I played competitively before, I was in my 20s and had no hearing problems, now I’m playing with severe hearing loss and I’m beginning to find problems effecting my game. Regardless of issues with the wind and the conditions effecting my ability to play, I win the second set 6-2, winning the match with an even better score than my first match, a horrible game, but a win is a win.